/ How to research and invest in Direct Mutual Funds to invest in 2019? Mutual funds are best way to invest in market if you are unable to research and invest in market on your own. A well designed mutual fund portfolio can easily help you create returns according to your various long term goals. With combination of Direct Mutual Funds and app based investments, it is now cheaper and very easy to research about best Mutual Funds to invest and then invest in them directly. You just need to check couple of factors, choose the amount you wish to invest per month and set it up on autopilot. The part that I am asked on regular basis as difficult thing is the right mix of schemes as per different investment temperament. Hence, using our internal research methodology, we have put together this portfolio. It is segregated as per risk individual risk profile: risk averse, average risk & aggressive risk taker. Though I believe in holding few good investments as compared to spreading them to wide investments, I have found that 5-6 different risk based investments is good number for diversification. Asset Size: For equity diversified funds, any fund managing upward of 100 cr. shows trust of market professionals ( though with passing times, this will be adjusted upwards). Normally, I don’t believe in investing in sectors via mutual fund, but still if you have to do, then look for funds with asset size above at least 50 cr. Annualised return: What we look for is consistency. Of course past performance is no guarantee for future performance, but consistency in results like annualised returns and comparing that with Index (NIFTY & SENSEX) is important. It shows if the fund has an edge and is that edge consistent. Outperformance: Once annualised returns are there, they are also compared to all the other funds in same category to check for outperformance. This is done over a period of minimum 3 years to again look for a consistent track record. Read: What are risk profiles for investments?Why are they important? On the parameters mentioned above, it used to be cumbersome to research the best Mutual funds to invest. The data used to be highly scattered and difficult to find. But, this has changed in last couple of year. With advent of fin-tech companies and app based mutual fund distributors, the data is easily available. Now all you need is to install a good app or visit their website to have access to such data on tap of your finger. Here is the list of highly rated apps and websites with good reviews that you can use to research Mutual funds. The choice of tool that you use for investment is a one time effort. Once your initial KYC is done, then you can buy your Mutual Funds, either manually or through SIP. 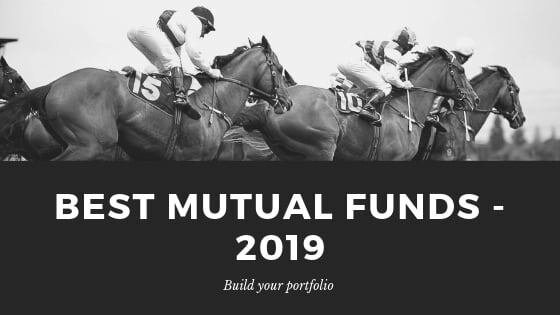 Based on the published numbers and data available with research sites (eg Valuresearch) we have compiled the list of best mutual funds to invest in India for this year. When you are investing for long term, it makes sense to invest, set alert on your screener website/app and then check once in a while. The best way to make an investment grow is to let it grow. Nothing makes you have an unplanned exit from a good investment other that the anxiety caused by constant checking and comparison. There will be ups and downs. You just need to see, if the down movement is due to overall market sentiment or something wrong with fund itself. If it is former, just wait it out. If it is later, then exit the stock. To maintain the standards of our reporting, we have set alert for all the above mentioned funds. When they are out of our preferred list, this post will be updated.